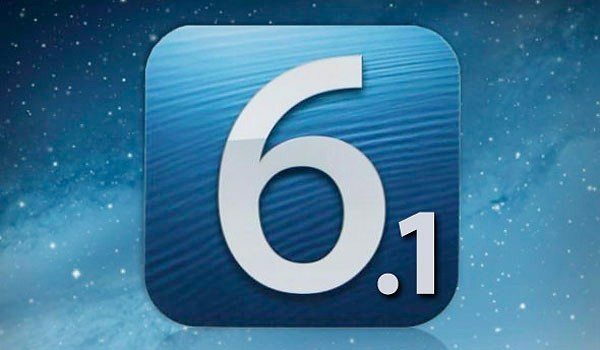 Many readers with iOS devices will already know that Apple released an updated operating system, iOS 6.1, last month. However shortly after the update we discussed some problems that seemed to have arisen from the update for iPhone and iPod touch owners and since then we also noted further issues. Some of these have been fixed by iOS 6.1.1 but that only applied to the iPhone 4S and not the iPhone 5 or other devices. Now we have heard of yet another issue with iOS 6.1 involving a passcode vulnerability. It was at the end of January that we told of initial problems from the iOS 6.1 update that included difficulties with network connectivity, battery drainage and also a GPS issue. Further to that we detailed more on 3G problems, an Exchange Server glitch and an Exchange Calendar bug. Following this Apple released a further update, iOS 6.1.1, that tackled the 3G issue for the iPhone 4S but now it has been discovered that passcode locks on iPhones with iOS 6.1 are vulnerable. This vulnerability can be exploited with a hack that bypasses the lock and although it’s not particularly simple, the danger is most certainly there. All Things D reports verification of this security issue and that they have found no safeguard against it but the exploit can give hackers your personal information such as contacts, emails and photos from your phone, and it appears to apply to any iPhone running iOS 6.1. The good news is that Apple has acknowledged this issue and says the company is working on a fix with a future software update so hopefully it won’t be too much longer until this problem is addressed along with the Exchange bug. On a personal note I still don’t feel my iPhone’s battery life is as strong as it was pre-6.1 but maybe that will be improved with another update. We’d like to hear from you about this passcode hack vulnerability from iOS 6.1 and also ask if you are still having any other problems, such as with fast battery drainage? Send your comments to let us know and share your experiences with other readers. UPDATE: We have just found out, courtesy of MacRumors, of reports that iOS 6.1.2 is to be released by Apple early next week, apparently before February 20th. This next update is said to fix the Exchange Bug and also the Passcode problem so this is very welcome news. I am having trouble with my 3G …. Each time the 3G changes to edge ! And it doesn’t turn back to 3G even on toggling the 3G on/off button from the settings ! I am really frustrated and I am not able to use my data on my iPhone 5 …. Please apple do sum thing ASAP ! Hopes r high !